Send us a short description of your art course with a link or contact e-mail. Not all submissions can be included. A reciprocal link is requested. "A wide variety of art classes, studios, workshops, art camps, and exhibition tours are offered to students of all ages and all levels throughout the year. Classes are held in the Studio at the Art Gallery on King St. West and at the new Design Annex on James St. North"
"An interactive and creative space, the Art Gallery of Burlington (Ontario) provides art education programs and public tours for people of all ages. Spanning over 44,000 square feet, our space boasts eight studios, three galleries, a one of a kind gift shop, an exhibition courtyard and year-round conservatory." "The Creative Arts programming, located in the heart of Waterdown, aims to provide valuable resources for your families creative expressions by offering high quality art instruction , from engaging after-school art classes to year long programs. We also offer art camps and classes during the March break, PD days, summer holidays and themed birthday parties..Creativworks delivers visual arts programs that are fun, innovative and reasonably priced." "Creative Insight Pottery was founded in 2010 by Katia Liberato, a graduate of the Sheridan College Ceramics program. Her passion for pottery does not stop at creating beautiful pieces, but also in creating a space where people of all ages can come to feel good and be creative. No matter how old you are, there is a joy that comes when you can just give yourself that time and place we want to be; that place where you can explore, learn, and grow. Now located in Waterdown"
"The Dundas Valley School of Art is an independent art school which has serviced the Hamilton/Wentworth Region for over 35 years. DVSA offers a wide spectrum of activities in the visual arts. Children's courses, adult courses, workshops and full-time studies are all offered throughout the year." "The Hamilton Conservatory for the Arts, located at 126 James Street South in Hamilton is home to many of the area's young stars. Students, of all ages, at the Conservatory learn dancing, singing, acting, visual art and many other artistic disciplines." "Learn how to see and paint like the Old Masters in a relaxed atmosphere with a small group of like-minded painters. Perfect for beginners as well as advanced painters. The aim is to develop the student’s skill through traditional training and practice, using the same methods that were used to teach many of the great masters. Widely used until the modern period, this method is no longer taught at the University or College level. Instructor: Paul Richard James, 326 Bold Street at Locke St. South, Hamilton. Phone 289-396-0270 or email oldmastersclasses@gmail.com"
"Laura is the creator of SOUL ART studio. She has an Honours B.A. in Fine Art and is a Certified Neuro-Linguistic Programmer. What started as a desire to connect with her higher self, resulted in an entire approach to art making. Her art has become a tool to see the visions of soul, and listen to the language of innate wisdom. Through workshops, classes and private one-on-one sessions, Laura shares her creative process and guides others to discover their SOUL ART." "Our original philosophy still stands - we wish to nurture and encourage the creative spirit of each student. We will continue to have high quality instruction and low student to instructor ratios." Courses are offered for children, teens and adults, including kids summer camp. "We are a not-for-profit theatre production arts school, offering summer and fall workshops in set design, props and more. Our workshops attract visual artists who wish to expand their art, high school and college teachers who wish to engage their students, and students who wish to pursue a career in theatre set design and properties. Our instructors are all theatre professionals from the Stratford Festival, Shaw, and beyond." 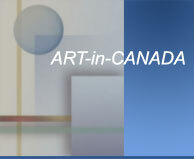 "The Department of Art at the University of Lethbridge is pleased to announce an important distance learning initiative...ART Now is a course that centers on presentations by artists, curators, critics, filmmakers and art historians from across the country and beyond. Each week for the duration of the semester, up to three different speakers (approximately 30 per term) deliver an individualized and unique lecture based on their research practice and creative interests. Presentations are videotaped for the online section of the course, so that registered students may view the lectures according to their personal schedule. Although it is an integral part of our degree programme, it is very popular with the wider public, and may be of interest especially to art lovers wanting to keep in touch with the latest in the visual arts; with those considering a return to university; or with those who want to engage in university-level discussion about the arts but need a flexible schedule. " "Art courses in Florence and Milan offered by Language School and Private Universities. Find course details, history and pricing."